Apple's forthcoming update to the AirPods earphones is expected to see significant internal changes and to be released later this year. 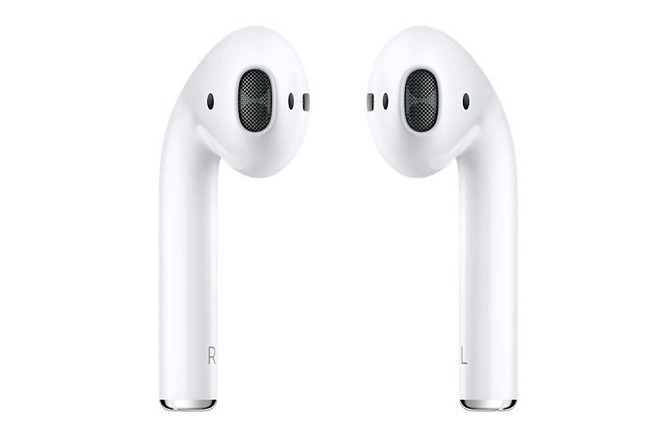 Reportedly, the AirPods 2 will look identical to the current version with the small exception of a new grip on the earbuds -- and the major one of being also offered in black. The grip on the earbuds is believed to be from a new coating rather than the physical change that Apple made to the Apple Pencil with its flattened side. Internally, the only update to the audio quality of the AirPods is believed to be an improved bass sound. There will, however, be new features to do with health such as heart-rate monitoring. This fits in both with previous reports of Apple's hiring for people experienced in this field and from the many studies into the benefits of in-ear health devices. As reported by MySmartPrice, the updated AirPods are expected to retail for $200 as compared to the $159 price point for the original model. There is, though, no definite release date for AirPods 2 other than "sometime this year". However, the site's same source reports that there will first be an updated wireless charging case for the original AirPods. 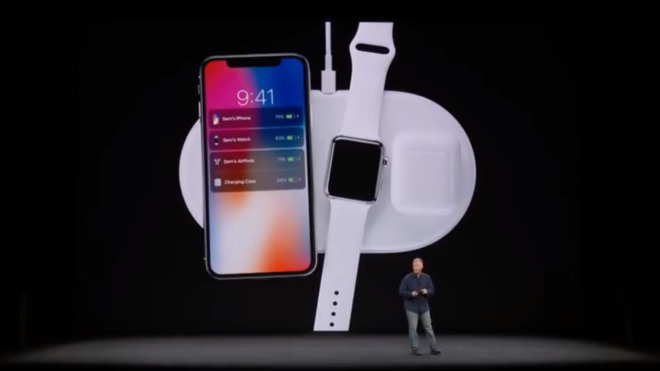 This updated case is expected in Spring to coincide with when MySmartPrice believes AirPower will be released. Apple's wireless charging pad has been much delayed, but is reportedly close enough to release that the company is currently filming TV ads for it. The shipping AirPower is believed to be thicker in size than the version shown by Apple back in 2017, and will feature some as yet unknown extra features that may be tied to updates in iOS 13. The AirPower is reported to be likely to retail for $150. There are no price details on the updated wireless charging case for the original AirPods. It's expected, though, that in order to allow for the wireless charging facility, the battery in the case will be slightly smaller than at present. Looking much further ahead, MySmartPrice source claims that Apple is currently testing Macs with touch screens and Face ID. While a Face ID Mac seems inevitable at some point, Apple has previously eschewed touch screens. The source says that neither is expected to become a shipping product soon, and that for now they are solely for internal testing at Apple. MySmartPrice has a mixed record in predicting Apple's future plans. I wonder if this time around Apple will build up more of a supply before releasing them. It would be nice to go into the store and not have to hope they received more than 3 sets to sell that morning. After AirPod2 release, Apple should update AirPod1 with improved sound hardware of AirPod2. Let there be two versions of AirPods at different price point. If AirPods main function is sound than let there will a version updated with improved sound. 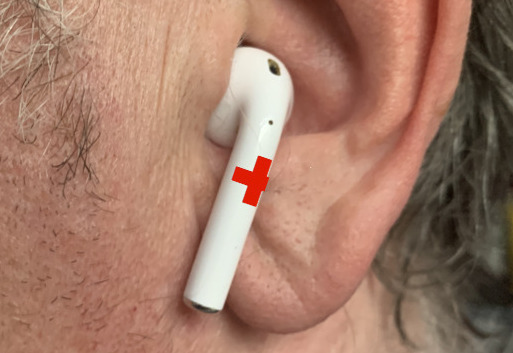 Other AirPod becomes health based device which happens to have sound feature. Apple wants everyone on board with health. That means holding them in storage rather than selling them. So which you would you rather -- not be able to buy them at all, or be able to buy them and have them in short supply? When they originally launched I put in one online order for later fulfillment, and also managed to snag a pair in the store. So I'd rather they not sit on them. Happens all the time. How come my cars aren't getting cheaper? Combustion engine mechanics is old. Technology is getting cheaper. Why aren't cars cheaper? I meant this in the vein of how they start mass production of iPhones prior to the official launch. That clearly didn’t happen the first time around and I’d prefer it if at the shipping date they had plenty to go around. So it is predicted that there will be no AirPods 1.5? This will be a total upgrade to 2.0 "later this year?" The battery in mine rarely last over an hour or so. They are dying. I think Apple was unaware of just how successful AirPods would be. No manufacturer wants a glut of product, but in this case Apple would have sold every pair they could produce. So yes, I too hope they ramp up production significantly prior to launching AirPods 2. I expect they'll drop the price of the original AirPods, if they keep them in the line up. Given the general outcry of high pricing in spite of record quarters, I'd guess they'd be <$199. Maybe hope is a better work. The competition mostly runs over $200 with the current version. I'm glad to hear about the texture change (matte finish?). They can get a little slippery getting them out of the case. Frequent wiping off is needed, especially on a warm day. Two classes of AirPods seems doable, and likely, if the AP2 price is $200. I'm often one of the first in the pool with new Apple kit, but I'll wait on these. Their health aspect would be the big draw and I'd like to see what they offer and how well they do it. I could easily see Apple selling both AirPods, one for $99 and the newest for $160. The average consumer. I doubt Apple will complicate the Airpod line. With a wireless charging case and additional functionality, I don't think the new model would sell for same as old. Likely $199. Hopefully the current version remains and reduced to perhaps $129ish. The battery with my current ones is starting to degrade (I purchased right before Christmas in 2016, so just over 2 years old). While I would like these rumoured new ones, with the Canadian exchange rate, they will no doubt be over $300 CAD. Why do you think that this is a "new trend"? I fully expect Apple to do what they have traditionally done: introduce a new version that cost a little more and keep the prior version at a slightly reduced price. I expect Apple has gotten a lot better at making them and component costs have dropped, so a retail price drop (for the version 1 model) would be reasonable. I guess we'll find out "later this year" whose theory is correct (or neither, I suppose). Yes, which means sitting on inventory for a while before launch day instead of moving them sooner. Which do you prefer? Not being able to buy any at all, or scarce supply but the possibility of getting them?